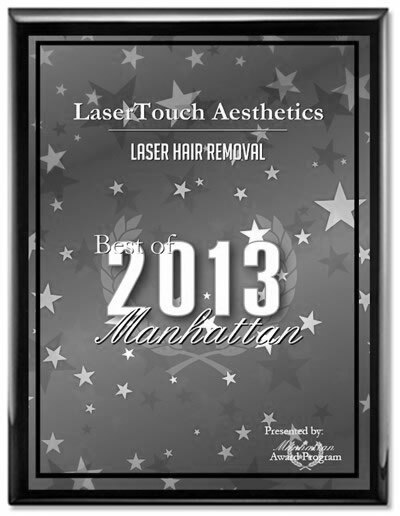 LaserTouch Aesthetics is the premiere laser hair removal center in Manhattan and New York City. 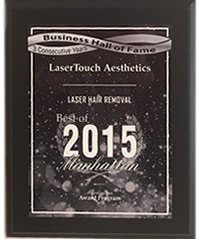 LaserTouch Aesthetics offers vast experience in treatment of ingrown hair (razor bumps) on various body areas. Click here to find out more about ingrown hair treatment. Click here to contact us and find out more about FREEDOM OF A HAIRLESS BODY for men. Our FDA approved laser devices, Candela GentleLase and Cutera Xeo, will provide the most effective treatment available, regardless of your skin type and complexion. Please call us now to book a free consultation appointment at our convenient SoHo location. If more convenient, we are happy to address your questions on the phone - (212) 219-1990. When you visit for a complimentary consultation, you can also try laser hair removal with a free patch test and learn about our introductory offers. What is the difference between laser hair removal treatments for men and women? 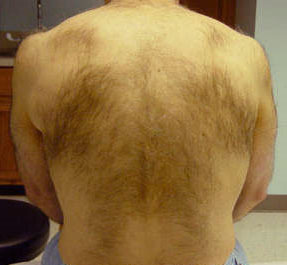 While it is the same technology, the settings would be different to allow for treatment of more coarse hair. Our technicians have nearly 10 years of experience treating customers of both genders. Depending on the coarseness of hair, the treatment feels like snapping of rubber on the skin. The laser devices have cooling technology to make treatments more comfortable. We can treat any part of the body except for eyebrows and eyelashes.